Remember when I told you my novels are coming to audio book? 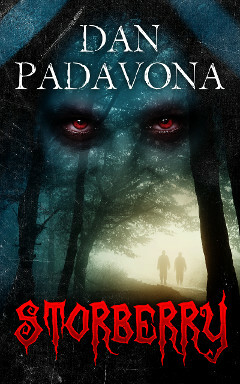 Vampire horror novel, Storberry, which hit the #1 ranking in Occult Horror on Amazon in 2016, is now an audio book. Paul-Alexandre Petit provides a creepy narration, lending the perfect voice for this classic vampire horror tale. Take Storberry in the car or listen while you exercise, but be prepared for plenty of chills and sleepless nights. Storberry is available on audio book from Amazon, iTunes, and Audible. On a personal note, I was awestruck by a Brian Keene tweet. That moment when one of your horror novelist heroes gives your book love. This year? Jack Ketchum’s Gorilla In My Room and the two most recent from @DanPadavona and @BHodgeAuthor are high on my list for books I’ve read this year so far. 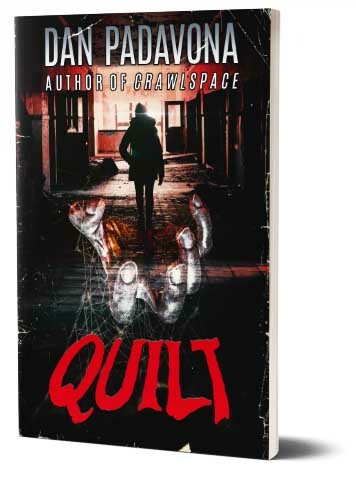 To say I was humbled by Brian Keene’s love for Quilt would be a massive understatement. I’m truly blessed so many readers said nice things about my latest novella. Thank you, everyone. And thank you, Brian. More good news. Production for the Crawlspace audio book is complete, and it will be available for purchase in the next 10 to 14 days. Daniel McColly’s narration is tremendous, exactly the voice I was looking for. And I’ve already brought McColly on board for The Face of Midnight, which is targeted for an early-summer release. Stay tuned. More of my works will be converted to audio book in the coming months.